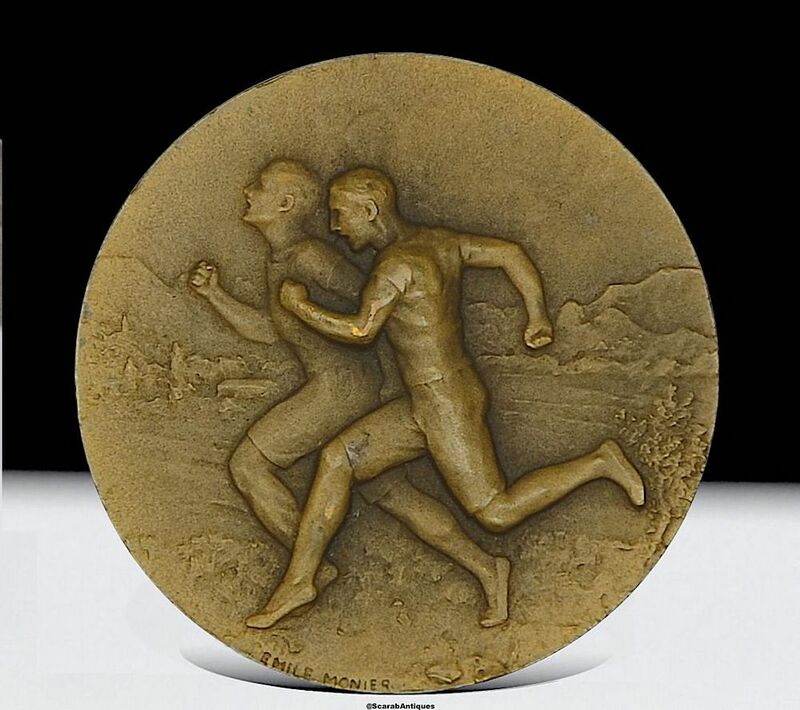 The obverse of this medal depicts 2 male runners battling it out with a rural scene in the background. It is signed "Emile Monier". (Emile Monier 1874 - 1940) The reverse has a shield with a sun and an arm holding foliage, the shield topped by a crown and with oak leaves and laurel leaves on each side. There is a rectangular cartouche beneath the shield with "U.F.O.L.E.P 13 Mars 1932 Charleville" stamped on it. The rim is stamped "Bronze" and has a triangular foundry cartouche.